United Kingdom, Republic of Ireland 15 August 2017 – Canon Europe, world-leader in imaging solutions, is honoured to today announce it has been awarded three prestigious accolades from the European Imaging and Sound Association (EISA). The EOS 5D Mark IV has been named ‘EISA Professional DSLR Camera 2017-2018’, the EOS 77D has been awarded ‘EISA Consumer DSLR Camera 2017-2018’ and the Canon EF 16-35mm F2.8L III USM has been awarded ‘EISA Professional DSLR Lens 2017-2018’. Voted by a panel of editors representing over 50 internationally-respected magazines from across 20 European countries, plus USA and Australia, EISA celebrates new products that combine the most advanced technology and desirable features with class-leading performance. 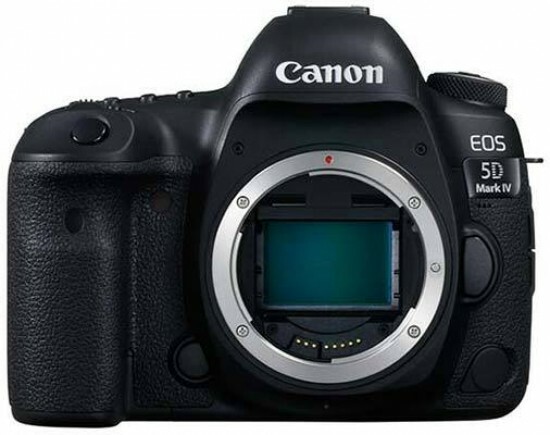 The Canon EOS 5D Mark IV is the tool of many professional photographers all over the world. Compared to its predecessor, Canon has increased the still image quality significantly with higher resolution and wider dynamic range, while the autofocus has become more sensitive. The video function is also much more advanced with quality 4K recording and fast autofocus in live view mode. The Canon EOS 5D Mark IV also features the innovative new Dual Pixel Raw feature, which allows sharpness and background blur to be fine-tuned later. All in all, the Canon EOS 5D Mark IV will remain a class-leading camera for several years to come. The Canon EOS 77D adopts many key features from the semi-professional EOS 80D. The 24.2 million pixel CMOS-sensor achieves a better dynamic range than its predecessor. A big advantage is that the Dual Pixel CMOS AF that enables a very fast and smooth autofocus during live view and video. Combined with STM or Nano USM lenses, the focus is very quiet. The viewfinder autofocus is also greatly improved, with 45 cross-type points. The new DIGIC 7 processor delivers enough power for fast continuous shooting (6 frames per second) and Full HD-video with high frame rates (1080/60p). The top place LCD and the quick control dial allow fast operation. Other modern features are the articulated touchscreen and Wi-Fi, which is accompanied by Bluetooth for easy access.